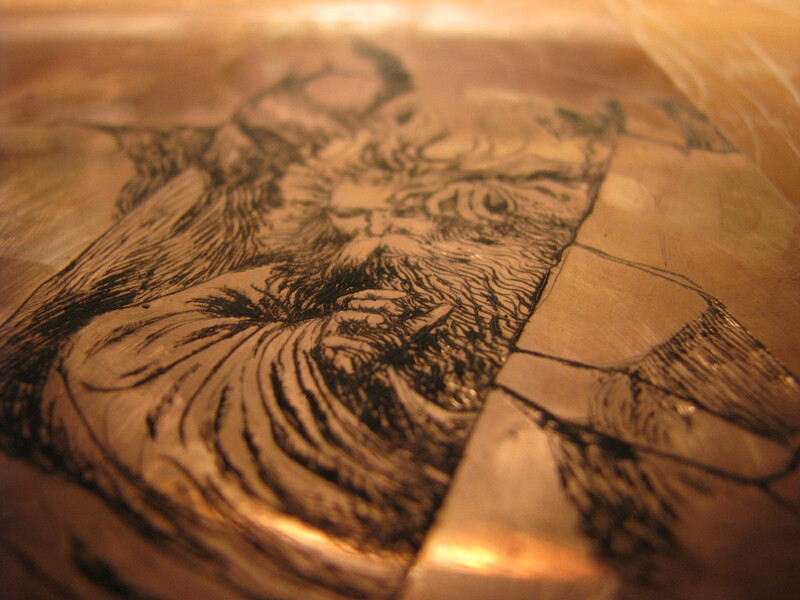 Two images within the process of a drypoint of Moses in the rock. The voices of steel and copper. I love this one so far. 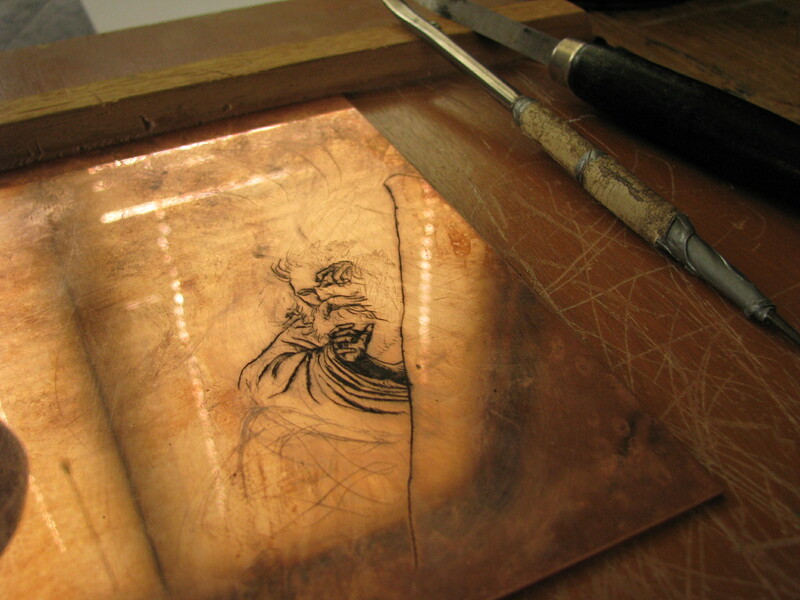 It’s always a gift to work on a copper plate. Are you drawing with pencil on it first before you carve into it? Nice photos, too. Thank you, Mikey. Since dry points are more forgiving than engravings, I am actually just lightly scratching the forms with the stylus before drawing them in with more pressure. That looks great! What was your inspiration for that pose? Yaakov, If I understand correctly, This pose for Moses is the third permutation, starting with this drawing, then this painting, and finally the drypoint, in progress currently. The original inspiration resides in the gift of my imagination.